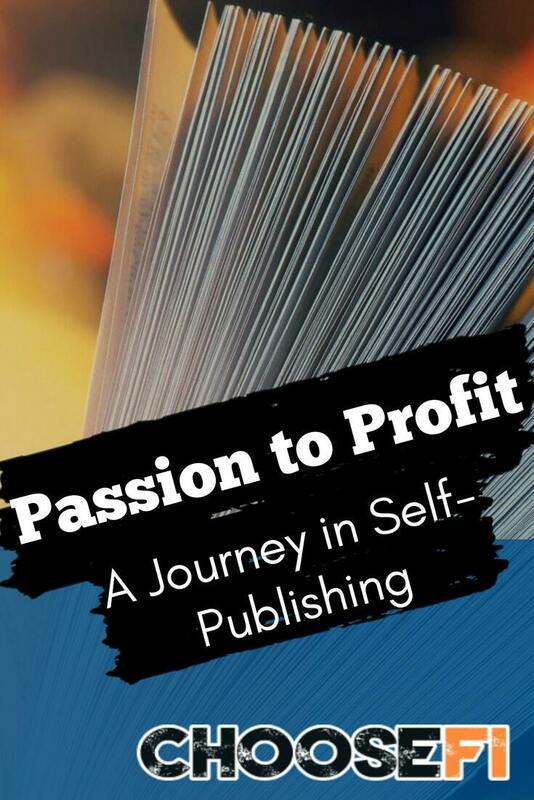 Thanks for all the details on your publishing journey. Very interesting to read your thoughts and decisions. Also congrats on moving forward and producing. That seems like the hardest part (for me at least). I saw you Enemies of Peace has a decent number of reviews. How did you get the first few? I understand you don’t pay for reviews. In addition to the one review group you mentioned, do you have any other effective strategies? I feel the same way you do about many of the ethical issues. But then I wonder whether I could get any traction if I don’t use them and everybody else does to be successful. Hi Anna! That is a great question, and I have those moments of review envy at times. I have learned the long and slow way to line up for Advanced Review Copies. When my first book came out, I joined some reader/writer groups on Goodreads. I saw authors on those forums announcing that they were ready to send out ARCs and were letting other users sign up. I connected with one author and I like her books, and I have learned some of the tactics that she has used for these ARCs. How this works is that the author (you) sends out a free copy of your book to the people on your ARC list. They get a free book and in exchange agree to leave you an honest and fair review on Amazon, Goodreads, or other channels. There are some rules around this, for example, you can’t post a review to Amazon until the book is live, whereas you can post to Goodreads prior to the release date. Because of this, you would want to send a reminder to those readers the day before your book goes live so that they remember to post the review to Amazon the next day. My first few reviews for Enemies of Peace came from those ARC readers. I find that with each book I am learning more. For example, I sent out the message on Goodreads for the ARCs on Enemies of Peace then copied and pasted the responses into my Gmail. This was a tedious process. To prepare for my next book release (ETA early January), I set up a google form on my website. Now I can passively collect interested ARC readers throughout the year and promote this opportunity beyond the Goodreads forums. Let me know if you found this helpful. Best of luck on your journey! Fascinating, thanks for sharing! I just picked up Nailbiters as a thank you. Self-publication is a path I’m looking to go down. I’m also a marketer by trade (software & tech, I wouldn’t have a clue about sports! ), so my research in the past has led me to the “email list is king” approach to book marketing. ie. the approach that building your list is the most crucial part of driving awareness and sales, especially in the long term. I’m also quietly in love with serial publishing on a blog to build an audience, similar to Andy Weir’s approach with The Martian and Eliezer Yudkowsky’s HPMOR, but I’m not sure it’s as viable a proposition today as it was >6 years ago. Ep195 of the Side Hustle Show was a good primer for where my head naturally went for marketing. I could see the marketer at work in how you approached your books, and I’m wondering what approaches you’ve taken / are considering for building an ongoing relationship over the longer term with your readers? Thank you for the purchase! I hope that you enjoy the book 🙂 I think your background in marketing will definitely be an asset as you work towards publishing your book. You already have one of the skillsets that self-published authors need to master so you are ahead of the game, as it were. I love listening to Side Hustle Nation, even the episodes that are not book-focused have spurred some great ideas! I have a long list of social and person to person marketing ideas that I have for my books, especially as I am considering a sequel for Nailbiters. I think the more I can tie in what people have liked about that book into the marketing, the more they will rally around the main character and their journey. I have worked with a few of my friends that are entrepreneurs in other spaces (custom prints and designs) to make “fan art” for the book to encourage others to send in their own. Social media is a very collective space and the more that I can encourage readers to share their impressions and apply their own creative mind, the more they will want to share it with others. It’s hard to engineer something that is supposed to be organic, but I’ll keep learning and challenging myself along the way. How are along are you on your journey? When are you planning to put your manuscript out to the public? Thanks! I like the idea of encouraging your readers to invest in the art that you’re making. It’s not going to be everyone that goes to that level, but I guess it’s the whole 1000 true fans concept. It all starts with those diehards. Enjoying Nailbiters so far BTW, I’m 20% progressed! It’s early stages for me with manuscript. I’ve got the rough outline and a few sample scenes written, just to prove to myself I can complete a scene. Baby steps. As I get closer to thinking about marketing, I might drop you a note on Twitter. Congrats on the latest podcast ep! Hi MK! My husband and I have each written two nonfiction books which are in ebook format. After listening to this episode on the podcast, I knew I had to listen to it again with my husband! We finally listened to it together. I’m convinced that I need to do both a print and an audiobook version of my second book (the first one doesn’t lend itself well to audio as it has lots of clickable link resources. The second one does too, but it’s shorter so I feel like it would be more manageable to put those resources on a hidden page on my website and direct people there). He is also interested in doing a shorter print version of one of his books. I’m curious to know, looking back, what do you wish you knew now that you didn’t know about both making an audio version of a book and a print version? What surprised you about the process (other than the fact people are way more willing to buy physical books)? I have started the process of creating the physical version through CreateSpace, but haven’t a clue about where to start with an audiobook. I would like to narrate it myself and get it onto Audible. Any tips for me? Any very basic resources that you found helpful you could recommend? Hi Rosemary! Sorry I am just now seeing your comment. If you are still in the process of developing your paperback, you have probably already seen that CreateSpace is being “sunsetted” and all authors are being asked to move into KDP Paperback or to another platform. Happy to answer any questions on the formatting. For the audiobook process, I was just so excited to hear a professional narrate my books I was happy with everything. The second experience was amazing, Dani has a wonderful voice and because Jonathan has pro equipment from doing the podcast, the audiobook came out perfectly. I don’t have an ear for good audio, but I have heard some audiobooks that has spotty audio and I’m very thankful to have had professionals behind the microphone.